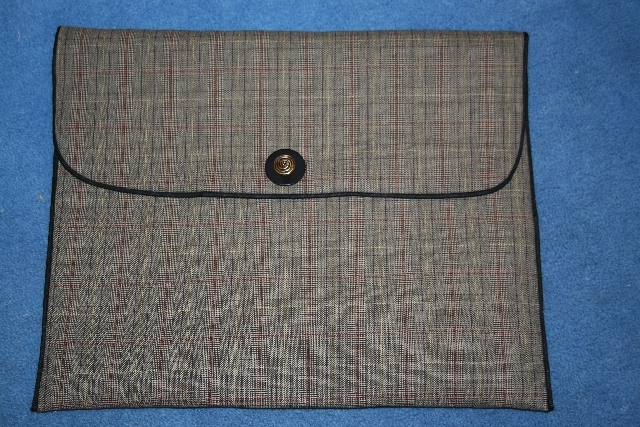 I blogged recently about the laptop sleeves that I make and sell in my shops. I have had several requests over the past year to come up with some "masculine" choices. I was kind of resisting that request, but I finally rolled over and put together some fabric combinations that I think will work. I felt that my fabric choices needed to be extremely masculine, men’s suitings is what I had in my mind’s eye. I think a man would not use one of these sleeves unless it was very neutral and did not draw any special attention to itself. I hope that I have hit the mark here and if you want to see all the different fabric combinations check out eBay or Etsy. I think this is a great idea Suzy. I am going to send you a little package of “masculine” fabrics that I think would work for a unisex line. I love your blog!! How sweet!! Have you made any gnomes! 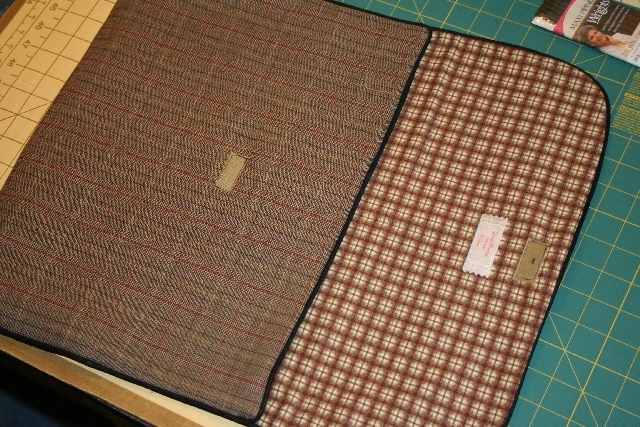 oh, i do love those tweedy looking fabrics! of course i would love to throw some pink in there too, but that would defeat the purpose…. Perfect for a man, that’s right ! And you have a nice shop on etsy.